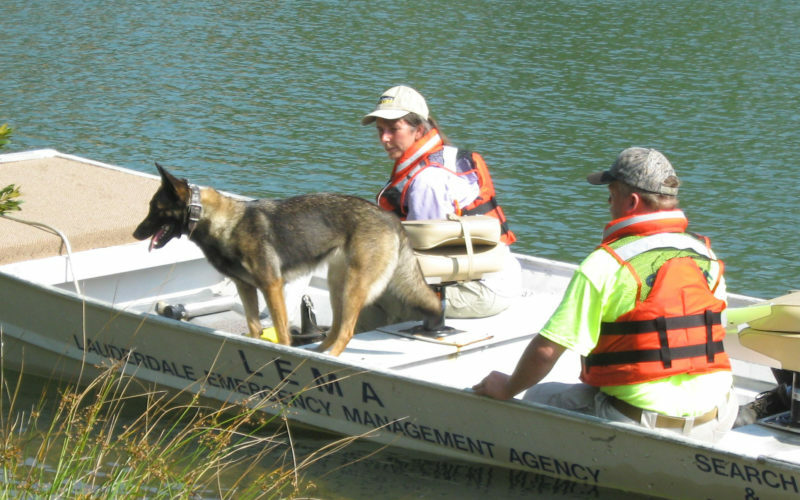 When people are missing, often dog teams are called in to locate them. At times, Human Remains Detection dogs or cadaver dogs are utilized to recover the deceased body of a missing individual. These dog teams are often used by law enforcement to successfully prosecute cases and to provide evidence that would otherwise be overlooked. They are also used in “cold cases” to find bodies that have been missing for years and even decades. These dog teams take a special kind of dog and an even more special type of person to be successful. Many of these cadaver dog teams volunteer their time and resources for training and the cases they work. Whether the death was due to a homicide, suicide or even a natural disaster, families of the victim are desperately searching for closure. These dog teams perform a daunting job in some rigorous conditions and environments to provide that closure.